Since I’ve started Kodes I’ve started to wonder what else I could make, pushing myself out of my comfort zone, to find myself “comfortable” again in yet another experiment. Interestingly enough both me and my mum, very impatient people with no practical hobbies, never able to see something through to the end, actually ended up taking up practical hobbies recently and getting definitely great results. 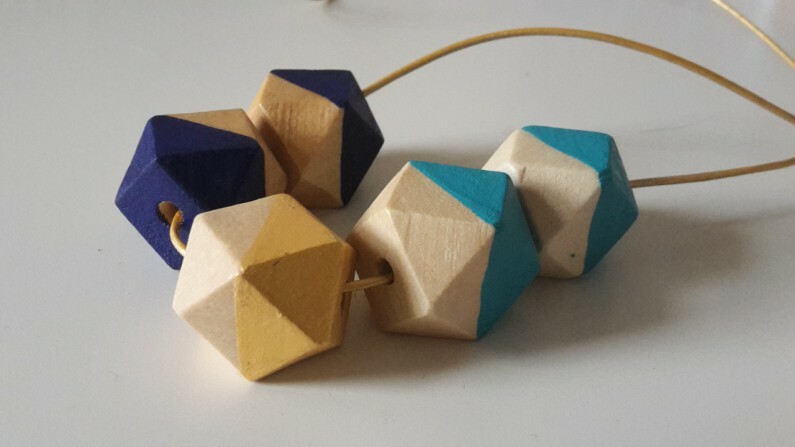 So I’ve started to question if I could actually make other type of necklaces and I was completely in love with faceted cubes hand painted. I had stumbled across those beads as I was shopping online for beads, but rather than buying them already painted, I wondered if I could buy them rough and paint them and varnish them myself!